Now that we have reached the half-century mark since President Lyndon Johnson began passing legislation to achieve his vision of a Great Society, it is worth remembering one momentous law that has been largely forgotten: the Housing and Urban Development Act of 1968. When he signed the act, LBJ declared it to be “the most farsighted, the most comprehensive, the most massive housing program in all American history.” Truly, its goal was breathtaking: to replace within ten years every slum dwelling in the country by building six million homes for low- and moderate-income families. The great accomplishment of the 1968 act was to shift housing policy toward programs that used the private sector, not government, to create and run low-income housing. Until the law was passed, public housing was the nation’s principal social-welfare program. The public housing program dated from the 1930s and, as a creation of the New Deal, used government agencies to develop, own, and manage apartments that were rented to low-income people. In the 1960s, few federal programs used private developers to provide social housing, and those that did had produced only small numbers of dwelling units. And then came the long hot summers. 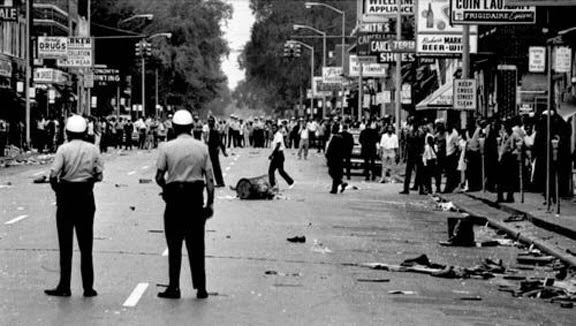 Violent riots rocked the African-American ghettos of American cities, leaving hundreds dead, thousands injured, and tens of millions of dollars of damage from burning and looting. The situation called for action, especially in housing. Most observers – including the famous Kerner Commission (officially named the National Advisory Commission on Civil Disorders) – were convinced that a major reason that African Americans were rioting in the streets was that they were condemned to live in ghetto slums. At the time, executives from hundreds of businesses were volunteering to help solve the nation’s pressing urban and social problems. The president welcomed these “public-private partnerships,” in part because the soaring costs of the Vietnam War prevented him from asking Congress to foot the entire bill for his ambitious social programs. Thus, LBJ named the president of the corporate conglomerate Kaiser Industries, Edgar Kaiser, to head his housing committee, stacked the committee with business executives, and asked them to propose ways that businesses – not government – could rebuild the slums. Taking Johnson’s cue, Democratic Congressional leaders, Robert Weaver – by then secretary of the new Department of Housing and Urban Development (HUD) – and the Kaiser committee worked together to write the ambitious social housing legislation to be carried out by the private sector. In the summer of 1968, Congress passed the bill by overwhelming margins. Remarkably, the once bitterly divided housing field came together to support the bill. For decades, liberal interest groups had fought ardently to promote public housing, while industry trade associations fiercely opposed public housing at every turn. Now liberals recognized that public housing was politically unable to generate six million new low-income housing units and agreed to try a new approach. The industry trade groups naturally approved of the 1968 act’s private-sector programs. After all, the officers of the National Association of Home Builders had worked with the Kaiser committee, the Democratic congressional leaders, and HUD to shape the bill’s provisions. This political truce proved to be a historic turning point: since the 1968 liberal reformers and housing industry leaders have worked together to lobby the government for low-income housing. The 1968 act contained three major housing programs. Perhaps the most successful was the rental housing scheme, called Section 236. It provided private developers of low-income housing with financial incentives, including subsidizing the interest rate they paid on their mortgages. By end of the 1970s, this rental program had encouraged the development of about 540,000 apartments, which exceeded the output of the public housing program. The financial incentives were poorly conceived, however, and in 1974 the federal government replaced the program with the better known and even more productive Section 8 program, which relied on the simpler mechanism of rental assistance to promote new construction. 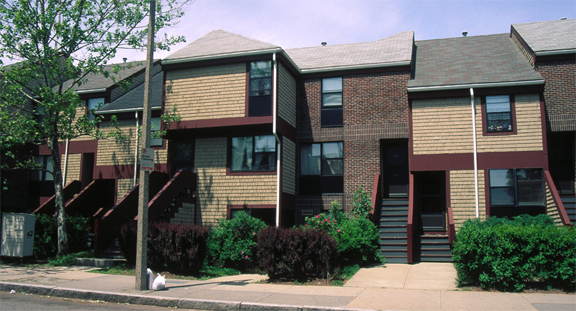 In 1986, the government enacted low-income housing tax credits, which has become the most productive of all the private sector type of housing programs. As a result of the changes started by the 1968 act, today private organizations, about three-quarters of which are for-profit companies, develop most subsidized low-income housing in the United States. Another of the 1968 act’s programs helped low-income families purchase their homes. When a popular Republican senator from Illinois, Charles Percy, proposed a homeownership plan that utilized nonprofit agencies to counsel and first-time low-income home buyers, Senate Democrats and HUD officials pushed aside his plan and passed a large-scale building program that subsidized private lenders and promoted private home builders. In the 1970s this program produced 419,000 new homes for low-income families. It was temporarily halted in the mid-1970s due to a scandal and terminated in 1987, but low-income homeownership returned in the 1990s to become a permanent fixture of American housing policy. The Kaiser committee contributed the third component of the 1968 act’s social provisions for private housing finance. It established the National Corporation for Housing Partnerships (NCHP), which raised money from corporate members and investors to provide working capital and, if needed, technical assistance, to developers of local housing projects. It turned out that Section 236 tax incentives, especially the use of accelerated depreciation schedules, attracted the bulk of investors so that in ten years the NCHP helped develop a relatively meager 40,000 dwellings. It pioneered the syndication of low-income housing, which resurfaced later and particularly after 1986 when syndicators found corporate investors to purchase low-income housing tax credits in return for equity investment in housing projects. 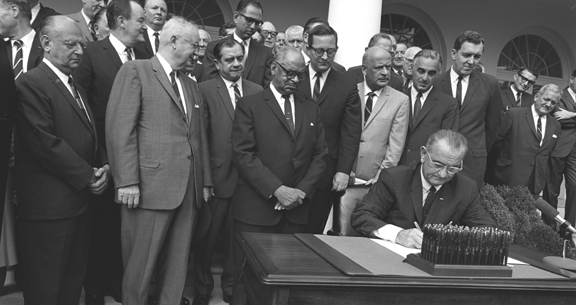 The Housing and Community Development Act of 1968 began a transformation of American housing policy. At a time of national urban crisis, it brought warring housing interest groups together in a political alliance that has persisted ever since. Moreover, the law turned away from government-centered public housing and firmly committed the federal government to using private-sector agents – especially for-profit businesses – to develop and run social housing. Reflecting the thoroughness of this transformation, private developers now routinely redevelop public housing projects. As we commemorate the many landmark Great Society laws, don’t you think we should recall the 1968 housing act?